Saddleworth Discovery Walks is a detailed guidebook containing 20 magnificent walks exploring the history, people and stunning landscape of this beautiful corner of the ancient West Riding of Yorkshire. 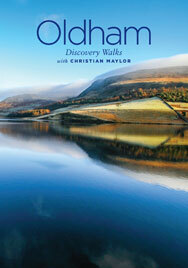 Each walk includes an illustrated map of the route and a selection of stunning landscape photographs, taken by a locally acclaimed photographer. With the Foreword written by professional climber and mountaineer Kevin Thaw, a percentage of the sale price will be donated to Oldham Mountain Rescue Team and Mahdlo Youth Zone (Oldham). For orders outside of the UK please email for postage costs. 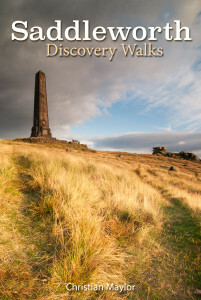 Oldham Discovery Walks contains over 120 miles of wonderful walks. From rugged moorland plateaus to secluded corners of Oldham’s beautiful countryside, you will discover the town’s rich, hidden past. 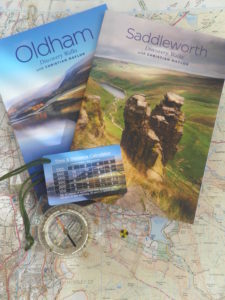 Each walk includes an illustrated map of the route, along with a selection of wonderful photographs which capture Oldham’s rich history and varied landscape. Buy both books together, save on postage and receive a free navigation Time & Distance Calculator.